The Colombia Caravana was founded in 2008 after the National Colombian Association of Human Rights Lawyers (ACADEHUM) asked the international legal community to develop and implement an international programme of support for human rights lawyers working in Colombia. 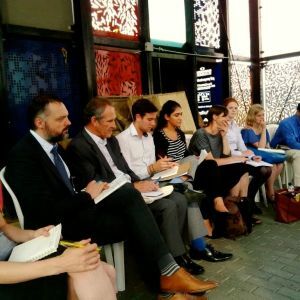 The Colombia Caravana UK Lawyers’ Group is now at the centre of an international network of jurists offering support to lawyers and other legal professionals in Colombia. 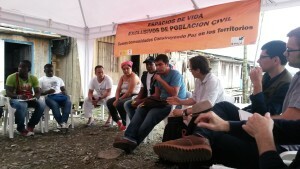 Since the Caravana was founded in 2008, we have organised four high-level delegations to Colombia, at the request of ACADEHUM, our main partners in the field. The first delegation in August 2008 consisted of 70 lawyers from Europe and the Americas. 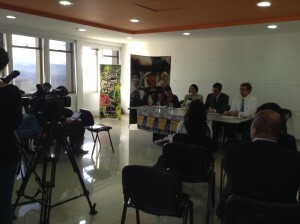 By September 2014 over 200 delegates had visited Colombia as part of the Caravana. These trips have proved to be essential opportunities to show concrete support for at-risk Colombian human rights lawyers and other defenders, and to ensure that the Caravana’s ongoing solidarity work after the trip is over is informed, focused and has a clear, well-defined direction. 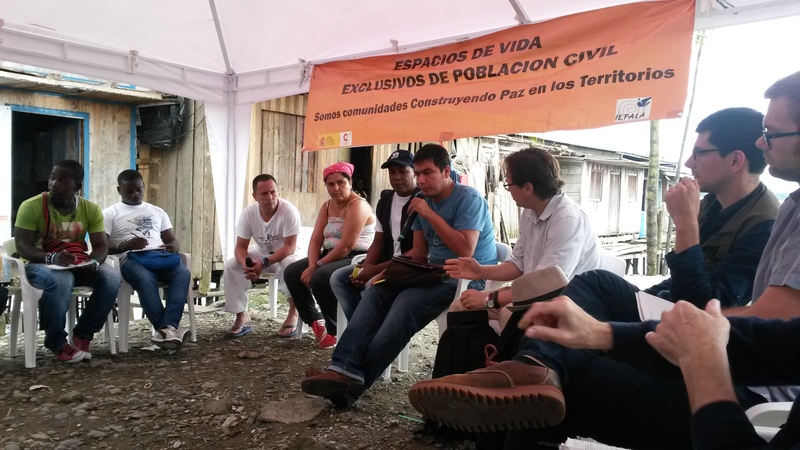 This year, the fifth Caravana will follow up on previous delegations, and will place a particular focus on the current and upcoming challenges for lawyers and other human rights defenders in the context of the Colombian peace agreements. to identify and through first-hand accounts and open discussion, gather information on the current challenges facing Colombian human rights lawyers in several regions of the country, with special attention to challenges posed by the transitional justice process. to hold workshops on relevant subjects aiming to share expertise and information. to influence the government by engaging in dialogue with officials from relevant departments and raising ACADEHUM’s concerns, to encourage these departments to take action on them. to use the information gathered to compile a report detailing the findings of the mission and including a series of recommendations for future action on the part of both the Colombian authorities and the international community. to draw up a framework with Colombian lawyers for future collaboration, support and exchange.